This wonderful graphic, courtesy of the NY Times, accompanies a terrific article titled Daddy, What Were Compact Discs?, a whimsical tour through the various skeins of tech we used to hold music, images, text and god knows what else while moving from analog to the Net over the past 30+ years. ONE day, when my children are a little older, I will gather them close and I will tell them about how I lived through the Great Format Wars. I will recount to them a seemingly endless cycle of battles. From LP to cassette to minidisk (oh wait — not to minidisk) to CD. From Betamax to VHS to DVD to HD-DVD to Blu-ray. From punchcards to magnetic tape to floppy disks to zip drives to DVD-ROMs. Some were dirty little skirmishes, like the Eight-Track Incursion of the late 1960s. But, oh, there are epic tales to be told as well: How my children’s hearts will leap and dive (assuming they are not the kind to be bored to distraction by what Dad is droning on about) as they hear about VHS and Betamax, each bringing the other ever closer to oblivion, and how only one of them left the battlefield — only to fall victim to a far nimbler opponent, DVD, which was waiting in the wings. And my children will hear of this and be amazed (see assumption above), for they know nothing of this kind of conflict. They will grow up in a world where physical storage of information is as outdated as rotary-dial telephones and mimeograph machines are now. Indeed, they already live in that world, even if vestiges of the old remain (turntables, for example). We older people can enjoy this new world as well, what with streaming music and video services, cloud-based storage options and social networks that easily absorb our photos and ephemera. We may be hardened by battles past, but our future is digital, wireless, ubiquitous and, we hope, pacific. Here’s what it looks like. All in all, the transition to the web whereby we store and retrieve all of our content is a good thing but 33lp records played on a really good stereo system still sound the best to me. 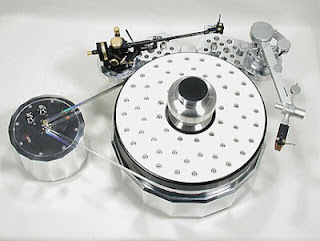 (Turntables of that era along with today's models are outrageous examples of exotic and cool looking hardware without a doubt.) With luck, tech like this will never die, just like that of radio, a medium that will never die as well. 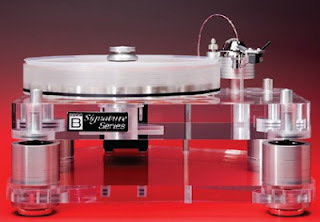 :) Seen below are two examples of esoteric turntables able to brings warm cackles to any audiophile's heart. Smart Planet comes through again, this time with a post titled Top Keywords that Homeland security use to spy on you. Words including “dirty bomb”, “grid”, “epidemic” and “cops” are among hundreds of flagged words that are contained in the 39-page booklet (.pdf). 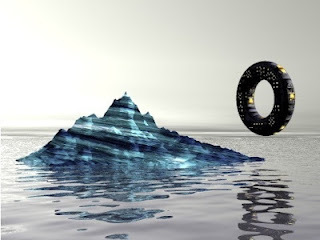 Recently released following a request under the Freedom of Information Act through a request from the Electronic Privacy Information Center, the DHS’ National Operations Center (NOC) use the 2011 Analyst’s Desktop Binder as a guide to what may be considered a “threat” online. Obviously, neural nets are being use here to the extreme. The problem with using this tech lies in the difficulty of extracting the real meaning of these words when used in context, a goodly portion of which we all have said in conversations with others from time to time, either face to face or in blogs, emails, phone calls or social sites, the primary places where surveillance of this type takes place. Without question, we are being surveilled against but, as often stated in BRT, this type of 24/7 surveillance should be universal and applicable to all, not just reserved for agencies like Homeland Security, an agency who's unfortunate title uncomfortably reminds one of repressive regimes like Soviet Russia, Nazi Germany and North Korea. Seems music and tech have been inexorably intwined for millennia but researchers have discovered the connect extends nearly as far back as the emergence of homo sapiens, something most interesting to say the least. Scientists led by Thomas Higham of the University of Oxford in England reported last week that improved radiocarbon tests determined that animal bones found with the flutes were 42,000 to 43,000 years old. This is close to the time when the first anatomically modern humans were spreading into Central Europe, presumably along the Danube River valley. 900 posts, I still can't believe it. 900 blurbs is quite a number one must admit. Something yours truly never thought possible but the subject matter is simply memorizing just as light memorizes a moth in enticing it to fly endlessly around it during a hot summer night. For 5 years, BRT has thrived and will continue to do so thanks to you, my loyal readers, who actually like to read the musings of someone who is endlessly fascinated with how reality works and how science and tech enable us to see these inner workings in ways impossible to imagine just a few years ago. To me, this quote says it all. We had a beloved neighbor who had to go to a nursing home, hence, her house went on the market. Being that we are in a depression, her home has not sold for months, which, in an interesting way, shows what happens when man's not around, as her property has become a bird sanctuary with songs and sounds emanating from her environs at a level bordering on the astonishing. Like the DMZ in Korea, it goes to show why earth doesn't need us when one sees how rapidly nature takes over when we leave the scene. Something to consider, don't you think? 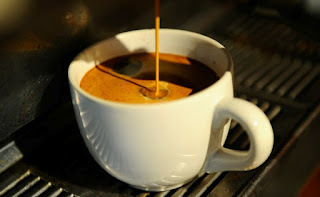 "As expected, the researchers found that the regular coffee drinkers in the group were also more likely to be smokers. They ate more red meat and fewer fruits and vegetables, exercised less and drank more alcohol – all behaviors associated with poor health. But once the researchers controlled for those risks, the data showed that the more coffee a person consumed, the less likely he or she was to die from a number of health problems, including diabetes, heart disease, respiratory disease, stroke, infections and even injuries and accidents. Over all, the risk of dying during the 14-year study period was about 10 percent lower for men and about 15 percent lower for women who drank anywhere from two cups to six or more cups of coffee a day. The association between coffee and lower risk of dying was similar whether the coffee drinker consumed caffeinated or decaffeinated coffee." Had to put this in. Ineptness as art form strikes again. Maurice Sendak, like Roald Dahl, wrote children's books that were real as imagined danger, uncertainty and fear comprise a large part of childhood as everyone knows. 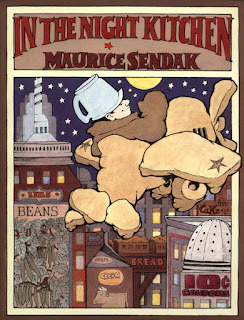 Sendak's stories and illustrations simply are amazing, something yours truly never tires of re reading from time to time when one wants to revisit one's childhood from the "safe" perspective of being an adult. 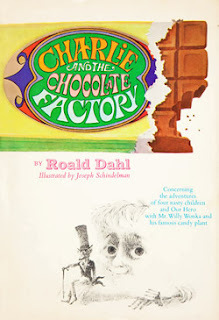 Roald Dahl's Charlie and the Chocolate Factory is another gem whereby dangers lurk in the pursuit of a cherished prize offered by the sly host, Willie Wonka, the purveyor of the finest chocolate in the world. When looking at this outrageous tech whereby ordinary objects like door knobs, sofas and water could become smart, Isaac Ashmov's Foundation's Edge comes to mind whereby starships were controlled by hands, something somewhat akin to but, in actuality, far beyond the realm of Minority Report even though this work was written over 30 years ago. Disney Research’s “Touché” is Touch Control on Another Level. Or in this case, multiple frequencies. Touché, from Disney Research in Pittsburgh, Pennsylvania, is a project that explores what they’re calling “a novel Swept Frequency Capacitive Sensing technique” that would allow objects to sense multiple different touch gestures. By objects, they mean humans, liquids, sofas and just about anything else you can touch. Hello, Minority Report. 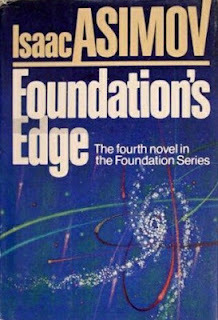 Foundation's Edge - The Avatar of touch. the desk top. On it were the outline of two hands: a right and a left. With a sudden, smooth movement, the desk top tilted to an angle of forty-five degrees. strain. The desk top seemed soft, nearly velvety, where he touched it--and his hands sank in. his eyes told him. Yet to his sense of touch it was as though the desk surface had given way, and as though something were holding his hands softly and warmly. He looked about and then closed his eyes in response to a suggestion. He had heard nothing. He had heard nothing! computer, it would be through a hood placed over the head and with electrodes against the eyes and skull. mental acuity. Why not the hands? encased in bone and removed from the working surface of the body. It was the hands that were the working surface, the hands that felt and manipulated the Universe. Wikopedia rocks and so does Pharyngula, a free thought website articulating why intelligent design and creationism simply doesn't work given the evidence science presents regarding how reality functions. Everyone has the right to believe or not to believe in whatever but no one has the right to censor or condemn anyone who may have a belief system differing from theirs, something religion has done since the beginning of time. Question, who designed the designer? Finally, there's a common plug for recharging electric cars. It took years to make it happen but it's real and the impact it will have on this tech will be huge. Big names in global car manufacturers have announced a common method for charging electric vehicles. The companies are in agreement with a common charging technology for use on electric vehicles in Europe and the United States. The new method will provide special convenience by enabling car owners to charge their EVs using AC or DC from a single inlet. 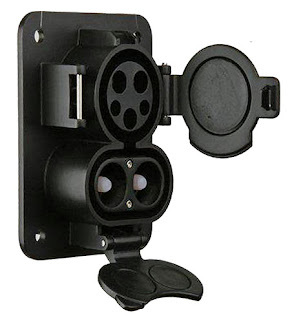 The charging system will allow for both alternating current and faster direct current charging on the same port. Another feature of the new system is that the charge can be done in faster time; a battery charge will take only 15 to 20 minutes. Smart Grids or the ability to monitor electric power using tech is gathering speed, something drastically needed as the electricity network of the nation continues to age while power requirements continue to rise. To that end, electric companies and governments are beginning to implement this technology with promising results. Over the next year Naperville, outside Chicago, will become the first large town in the Midwest to have smart meters in all 57,000 homes and commercial buildings. Those meters will transmit data to the city’s municipal power company every 15 minutes and eventually allow for two way communication between residents and their home heating and cooling systems. This will not be cheap but in the long run, cost savings and the ability to better manage an essential resources becomes reality. 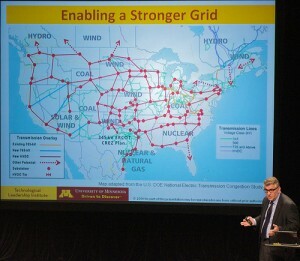 A stronger grid could create 200,000 jobs around the country and make for a much more efficient energy system, according to Massoud Amin, director of the Technological Leadership Institute at the University of Minnesota. Amin is a highly regarded expert on the topic — he was dubbed the “father of smart grid” by the American Society of Mechanical Engineers in 2011. 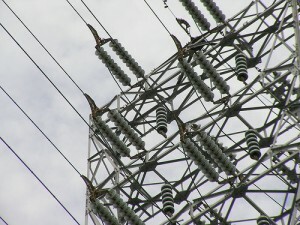 A “stronger” and “smarter” grid could save up to $70 billion each year through reduced outages and increased efficiency. Emissions of all particulates, as well as carbon dioxide, would drop 12 to 18 percent a year, predicted Amin, when compared to emissions created by the current grid. Not that it’s going to be cheap. A smart grid covering the country will cost from $340 billion to $480 billion over 20 years, said Amin. Everything has a cost but we already knew that, right? Interesting posts from Kurzweil and MIT's Technology Review regarding cardiovascular tech using a patient's skin cells to do the deed, thus eliminating the rejection process inherent with anything foreign introduced into the body to, in this case, replace blood vessels compromised by disease, aging or traumatic injury. Basically, researchers grow human skin cells in a culture flask under conditions that encourage the cells to lay down a sheet of what is known as extracellular matrix — a structural material produced by animal cells that makes up our connective tissue. Slicing the sheets into thin ribbons that can be spooled into threads makes it possible to use automated weaving and braiding machines to create three-dimensional structures that do not require fusing. The company is also working on a technique in which the cell-produced sheets are processed into particles instead of threads. The biological bits can then be molded together, says L'Heureux, giving tissue engineers two advantages. 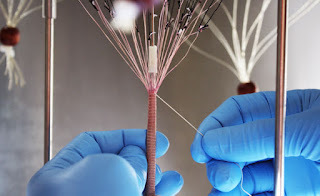 Molding the particles together leaves a complex network of channels behind—exactly what tissues engineers will need in order to produce, eventually, something like a liver, pancreas, or kidney. With most other technology, there is "no guarantee that the channels will be maintained," says L'Heureux. The particles could also be injected, he says, which could add volume to tissues for cosmetic or reconstructive purposes. It seems some aspects of creativity mimic the 1st law of Thermodynamics whereby, like energy, an idea is transformed, not created or destroyed, in similar fashion to the 1st law. 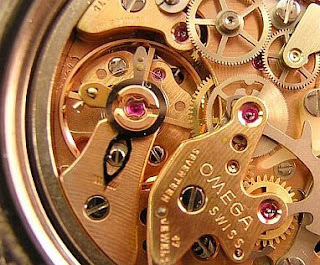 In this application, the invention of spinning wool or other material into threads to make clothing has been around for thousands of years, a process now being integrated into doing the same thing for health in creating woven blood vessels to save lives, something very cool if you ask me.